The Japanese term Heijunka means ‘leveling’ and is commonly used in manufacturing facilities to describe the process of leveling out the type and/or quantity of production over a set amount of time. The idea is to help an organize reduce waste in production while still meeting the demand of customers. As with many other efficiency improvement concepts used today, Heijunka as developed by the Toyota Motor Company as a way to improve their auto manufacturing processes. Over the years it has been refined and adapted to virtually every other type of manufacturing company around. 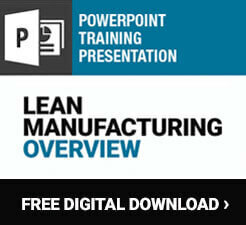 It is most commonly used as part of the Lean methodology for eliminating waste. The idea behind Heijunka is to have a manufacturing facility produce things at a level consistency. Whether this is measured by volume or type of a product, it allows the facility to more accurately plan their production over the course of a day, week or other amount of time. The easiest example of Heijunka is to look at the production of vehicles. If a facility gets an order for 100 vehicles on Monday, 50 on Tuesday, 200 on Wednesday, 50 on Thursday and 100 on Friday many facilities create them as needed. The idea behind that is to minimize the need to keep inventory on site and so that there is little risk that a significant change in typical orders will leave the manufacturer with excess vehicles. With the Heijunka strategy, however, the facility would make 100 vehicles each day to meet the demand. Once the strategy is in place the facility will be running at a level pace at all times, which improves efficiency in a variety of ways. For example, there would be no need to pay overtime or bring in additional workers on Wednesday when the order level is significantly higher than the other days. It would also allow the employees to have a steady schedule, which brings a variety of benefits to the facility as well. Type leveling is similar to volume leveling except it has the facility creating a set number of different type of products each day. 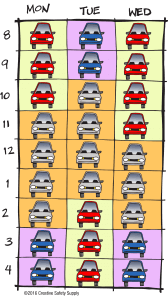 You may make, for example, 10 red vehicles, 10 blue vehicles and 10 silver vehicles each day. This will require you to conduct more changeovers each day, but it will also help to streamline this process. Choosing whether volume leveling or type leveling is going to be most effective in your facility will depend on a variety of factors. Learning about both options will help ensure you are making the right decision for optimal productivity and profitability. While the above example is quite simple, real life manufacturing rarely works like this. 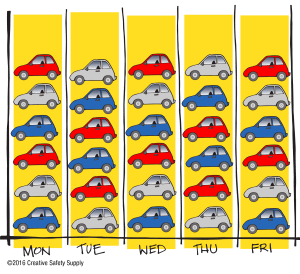 A more realistic situation would require the facility to create multiple different types of vehicles to meet demand. This means there would need to be changeover on the machines to allow them to create the right parts for each vehicle when they are needed. To make this possible, a facility needs to make sure they have optimized their changeover times. Planning for this downtime in the facility can be done in such a way to further minimize waste and downtime. For example, if you have level production plans you can schedule the changeovers at the same time each day of the week. By having this planned out ahead of time it is possible to ensure that only the employees responsible for the changeover are in the facility at that time so you aren’t paying people to wait around. Of course, anytime you have a set procedure and time for any activity, you are going to be able to do it much more quickly and easily than if you are doing changeover as it is required. Now that you have a good idea of what the Heijunka concept is, you should learn about the Heijunka box. This box is a product or concept that helps you to visualize the ideal production schedule in the facility. You can have one Heijunka box for your entire facility or you may need one for each machine in the facility. Some facilities have virtual Heijunka boxes that are on their computers or tablets, but many prefer to use physical boxes. The box is set up in such a way to have multiple squares within the box, each of which represents a Kanban to signal production on a specific product that is being made. You can set up a Heijunka box with the days of the week across the top, for example, and then the product type along the vertical edge. 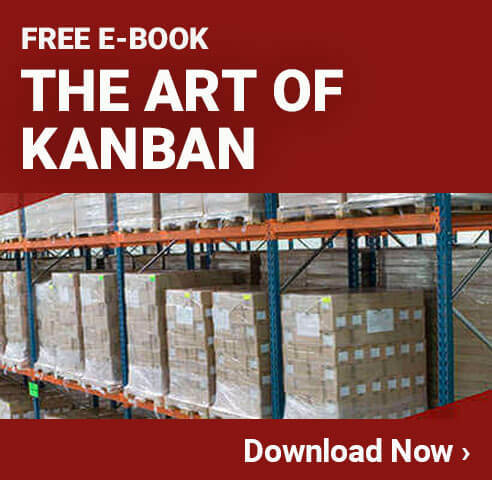 Placing a Kanban card into each box for the proper product on the proper day will make it extremely fast and easy for employees to see exactly what they should be working on at a given time. While the most common type of Heijunka box is to break up productivity over the course of a week, they can be broken down by hours in the day or some other interval. Taking the time to learn how to properly set up your Heijunka box is well worth the effort and will help provide you with years of improved productivity within the facility. Now that you have at least an introductory understanding of Heijunka and Heijunka boxes it is time to determine whether or not this concept is good to implement now or if it should be put off. Many Lean experts agree that this concept is an ‘advanced’ option for improving productivity and should only be used after you have already gone through the process of implementing other lean strategies. If you are a well-established facility that is already operating quite efficiently, however, now may be the perfect time to consider investing in an Heijunka box and starting to implement this system. When done properly it can offer significant improvements to the efficient of just about any facility. If you think your facility is ready for this great strategy, begin making plans now and gathering data to learn how it can be properly implemented for the best results. 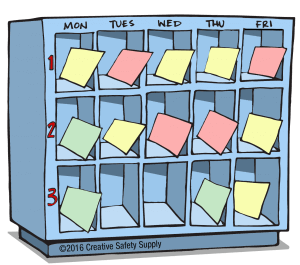 Make sure you check out Creative Safety Supply for all your continuous improvement needs.